If you’re ready to have a video sales funnel that actually works for your brand, you need the right marketing videos. A marketing sales funnel, as you probably know, is the path that your customers follow when they’re thinking about making a purchase. This is a journey, that features different types of interactions that your customers will have with your brand. These interactions exist in different moments of the funnel! And, if you want to have a successful video sales funnel, you need to know how to reach your customers at the correct moment. This means, knowing which type of videos you should be using, and when and who they’re going to be directed to! It’s time to ask the real questions. Who are your customers? You need to know what they want and what they need. Remember, these are the people who will end up buying your products! If your focus on getting to know the real needs of your customers, you’ll have a clear understanding of the types of video content that your brand can deliver. This will translate into being useful for your prospects, and effectively catch their attention. The way to do this is by creating ideal models of your customers, which are your buyer personas. They will help you understand your prospect’s pain points! By understanding that, you’ll be able to refine your video strategy to meet your prospect’s needs, which is the key for creating a video sales funnel that works. Because, you know, video is an amazing tool! 90% of users say that videos are influential in the decision process, so you must use them wisely. Not every type of video will work at the same moment. This is why you must use different types of marketing videos for each stage of the funnel. So, a video sales funnel breaks down into three stages, which are called awareness, consideration and decision. The goal here is to create video content that will meet your prospects expectations! This means that your prospects are coming to you facing different problems. Depending on the stage they’re in, their issues might change slightly, and their needs will definitely change: your prospects are in need of different types of interactions with your brand. You must identify this, and satisfy their needs. If you recall, this looks a lot like the base of inbound marketing! Inbound marketing is all about meeting your prospects needs in the right moment. Making video content the center of your sales funnel, will boost your inbound marketing strategy. Why? Because you will be attracting organic traffic. Your prospects will come to you, rather than you going out there to get them (which would be outbound marketing), and this is because you’ll be attracting them by offering the content they need. So, you want to influence your prospects the right way during the buying process. There are different types of videos (as I told you before) and each one will work best in a specific part of the funnel. Let’s see which types of videos will help you create the best video sales funnel! This is the start of your video sales funnel, the moment in which you’ll be helping your future customers so they can identify their challenges. The best approach you can have here, is to create video content that’s focused on being educational, and not so much oriented to sales yet. Why? Because your prospects are just becoming aware of the problems they’re facing, and they’re in the beginning of doing research about it. Your goal is to deliver what they need, and that is content that’s helpful to them. There are some questions to ask yourself, so you can fully understand this stage. First, how do buyers describe their challenges? How do they look for information about it? If they were to do nothing about this, would they be facing consequences? Which ones? After you have the answers to these questions, you’ll be on the right track to delivering the right type of video content. This is your way to go: Focus on giving useful information to your prospects. They want to get information to make their lives a little bit easier, give them the answers they need, and actually offer real valuable content to them. As you can see, educational videos can be very interesting, and fun! This is an animated marketing video, which turns an educational topic into something fun to watch. Even though branded videos are not exactly educational, they are fantastic to attract visibility to your brand and product. They work great for this stage, because attracting visibility is another goal in your awareness stage. As its name says, this is the moment to raise awareness. 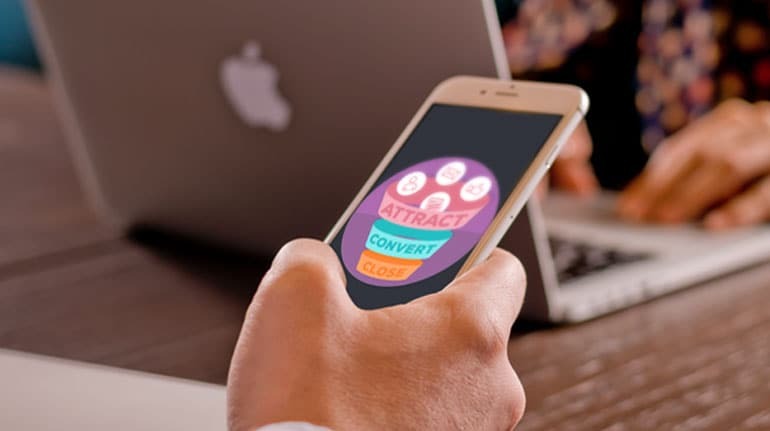 During the consideration stage, you should aim to convert your visitors into leads, and inform them about your product and why it’s the best option for them. Your prospects are now considering different options, and looking for those solutions that will help them the most. Of course, you want your prospects to choose your product over the competition’s. But this has to be an informed and well thought out decision. First, ask yourself: What types of solutions do your buyers investigate? How do they measure the pros and cons of these solutions? How do they decide the solution that is best for them? Answer these questions, so your prospects can see that you understand their struggles, and that you’re offering the best solution for them. Product videos are the ones that show your product in action. You can use live action videos, or also a cartoon animated marketing video (to make it more engaging!). Explainer videos are great for showing difficult concepts in a simple way. There are many types of explainer videos, like whiteboard animation, cartoon, motion, etc., so you can choose the one that fits your brand best. The third and final part of the funnel is the decision stage, because, as its name says, your prospects will be making a purchase decision. This is the last step before you close that sale, so your video content must be chosen wisely; you can’t let them turn back now! How are your prospects evaluating their options? What are the special features in your product that place it over any other one? Or what can they find in your product that might become a problem? Is there someone else that needs to be involved in the buying decision? These questions have a clear goal: You need to know the doubts your prospects still have, so you can learn how to address them. The most important thing is trust. You need to build brand trust with video content. You can do this by delivering the right videos. With testimonials, you’ll be showing real people, just like your prospects, who had the same struggles and found a real solution in your brand. Testimonial videos are a great way to give your prospects the final incentive to become customers, by showing them the real stories of your clients, and building their trust. A successful video funnel requires some work. Your goal is to fully understand every part of it, so you need to ask yourself the right questions. But what you really need to know is, exactly, who are your future customers? What do they need from you in every stage? Let’s go through this quickly. At the top of the funnel, during the awareness stage, you must focus on being helpful to them. Give them information that is valuable for them, help them during their investigation. During the middle of the funnel, the consideration stage, introduce your product as the best option there is, but also give your prospects the right tools so they’ll be able to make an informed decision. And at the the bottom of the funnel, the decision stage, you must build brand trust! To achieve this, use video content that shows the real people of your brand, your real customers and employees. And this is how you use marketing videos to have a successful video sales funnel for your brand! Let’s talk about it a bit more, go take a look at this free infographic we’ve got for you today: How to boost your inbound marketing efforts with video!